Universal Cigar Lighter Plug & Lead - 8A Max. Universal 8A cigar lighter plug that fits both cigar lighter and DIN ISO 4165 power sockets. 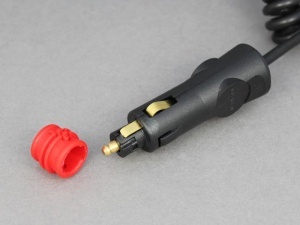 To use in a DIN socket remove the red end adaptor. 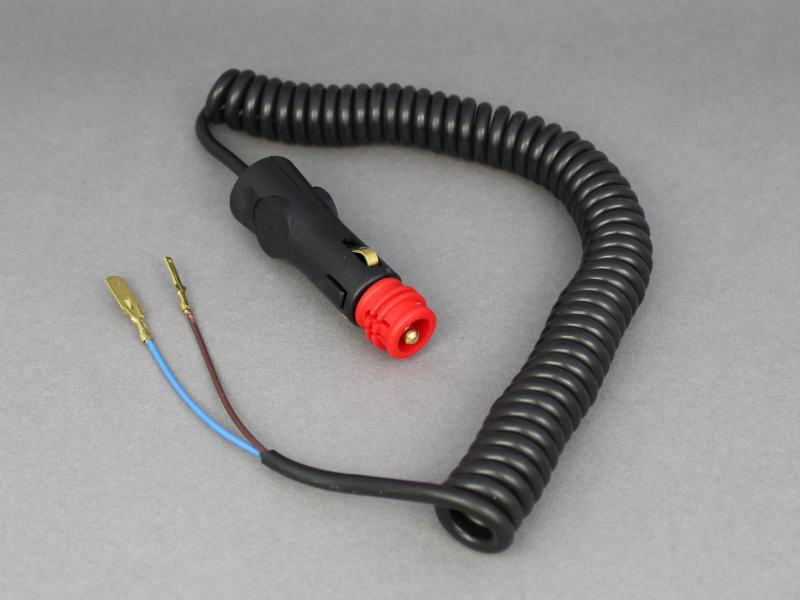 Supplied with 0.3m of coiled cable (max. extension approx. 1.5m) fitted with 2.8mm and 6.3mm male blade terminals on flying leads. Contacted 12 Volt Planet and order corrected straight away.